ALLEVYN◊ the dressing designed for enhanced performance. Healing chronic wounds can be a challenging task. They often produce high amounts of exudate and are frequently exposed to potential infection. We’ve designed ALLEVYN? to help you provide your patient with the best path to wound closure. With its recently expanded dressing family, ALLEVYN? will help you make the best choice of dressing for every patients wound so ensuring maximum patient comfort, minimal pain and rapid wound closure. Only ALLEVYN? dressings benefit from triple action ALLEVYN? technology to provide peace of mind through the active fluid management system. This system encourages a moist healing environment for faster wound closure and a bacterial barrier through the ALLEVYN? top film. up to 3 times more fluid handling capacityALLEVYN◊ delivers the optimal moist wound environment for the promotion of wound closure. Absorbs enough fluid to remove unwanted exudate and cellular debris. ALLEVYN◊ is a hydrocellular wound dressing designed specifically for the management of exuding wounds. The way ALLEVYN◊ works is why it works. ALLEVYN◊ dressings are comprised of an advanced triple-layered construction, which facilitates wound closure through optimal fluid management. 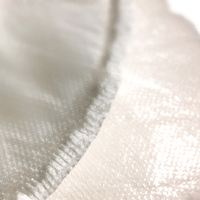 Exudry Specialised absorbent dressing with unique anti-shear layerDescription: EXU-DRY is a one-piece wound dressing made up of multi-layers. EXU-DRY’s speciality upper extremities dressings are designed to conform readily and comfortably to the contours of the upper limbs. EXU-DRY is a highly absorbent rayon / cellulose blend sandwiched with a layer of Anti-shear high density polyethylene, a high density polyethylene outer and a wound contact layer of high density polyethylene. * EXU-DRY is a unique one-piece wound dressing designed to help reduce pain and trauma, save nursing time and lower total dressing costs. EXU-DRY replaces multiple layers of gauze and abdominal or surgical pads. * Non-adherent to the wound, EXU-DRY is more comfortable for patients during and between dressing changes. EXU-DRY’s Anti-Shear Layer reduces friction and shearing and helps protect the wound. EXU-DRY’s one-piece multi-layer sealed construction eliminates frayed edges, loose threads and linting. EXU-DRY will not disturb new granulation tissue thereby supporting the healing process. * Highly absorbent, EXU-DRY reduces the risk of maceration and irritation to the wound and surrounding tissue. EXU-DRY wicks away drainage from the wound into the entire dressing, reducing the frequency of dressing changes. * Non-occlusive, soft and pliable, EXU-DRY is available in a wide range of sizes and shapes to accommodate virtually any wound or body contour. Because EXU-DRY is permeable and non-occlusive, it can be used as a wet or dry dressing on clean or contaminated wounds. * EXU-DRY is compatible with most topical agents, liquids and creams. * During the body’s normal healing process, unnecessary material is removed from the wound which will make the wound appear larger after the first few dressing changes. If the wound continues to get larger after the first few dressing changes, consult an appropriate healthcare professional. * Should any signs of irritation (redness, swelling, increased burning sensation), maceration (over-hydration of the skin), hyper-granulation (excess tissue) or sensitivity (allergic reactions) appear, discontinue use and consult an appropriate healthcare professional. * Petroleum jelly based impregnated dressings should not be used with EXU-DRY as this may interfere with its absorbency. OPSITE? has set the standard in moist wound care by retaining the natural wound exudate. OPSITE? provides moisture vapor permeability allowing excess exudate to evaporate, helping prevent skin maceration. 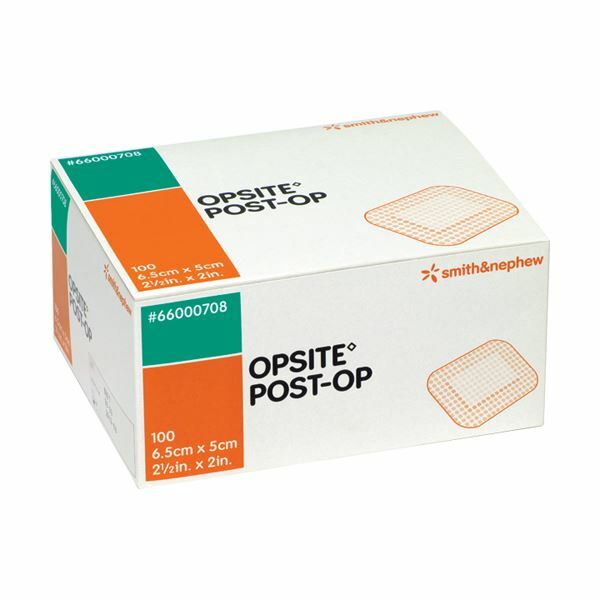 The OPSITE? film is highly extensible and conformable, which combined with its moisture vapor permeability, means the dressing can be left in place for up to 7 days. 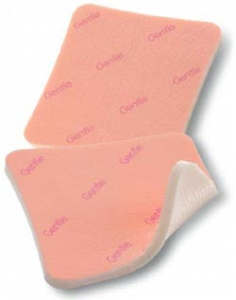 This minimizes interference at the wound site and reduces the amount of nursing time required. OPSITE? is resistant to water and body fluids, allowing the patient to bathe without changing dressings. It also aids in the prevention of bacterial contamination. OPSITE? has been designed to be adaptable for use on all areas of the body. It can be easily cut into strips or shapes for application to awkward areas such as heels, elbows and knees. * Superficial wounds, such as shallow pressure sores, minor burns, cuts and abrasions. * Use as a secondary dressing, for example over INTRASITE? Gel Amorphous Hydrogel Dressing or ALLEVYN? Cavity Wound Dressing. * To provide catheter fixation. * The patient should be receiving suitable systemic treatment.